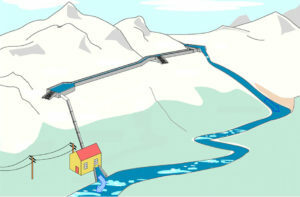 The main objective is to develop a well-structured “Module 1” on history, importance and stakeholders of mini and small hydropower in Switzerland with an exemplary format (also useable for further Modules). The Module shall be well-interlinked with further reading and further modules, be easy to understand and to update when required. Screening of relevant publications and preparation of a well-structured content for Module 1; incorporation of relevant links and references. Compilation and short description of relevant actors in the mini and small hydropower sector, including public and private sector, NGOs and professional associations. 3) detailed list with relevant stakeholders in the sector.